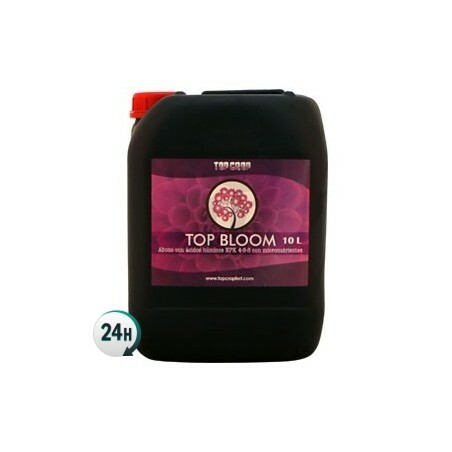 Top Bloom by Top Crop is a flowering fertilizer that contains humic acids, phosphorus and potassium in order to grow thick and compact cannabis flowers. 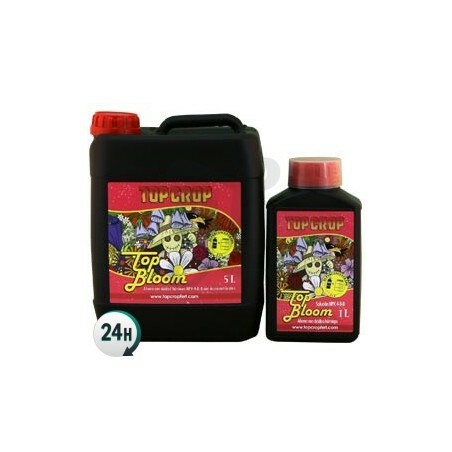 Top Bloom by Top Crop is a fertilizer that contains humic acids for the flowering period. It’s rich in phosphorus and potassium, designed so that your plants can develop large, compact flowers. Your buds will end up larger and denser than ever. All of the ingredients in Top Bloom are of the utmost quality and have been chosen to improve results in soil and coco grows. We don’t recommend using it in hydroponics or aeroponic grows, as some ingredients may ruin your nutrient mix – if you do decide to use it, you’ll need to switch out to fresh nutrient solutions quite often so that the pH and EC don’t get too wild. 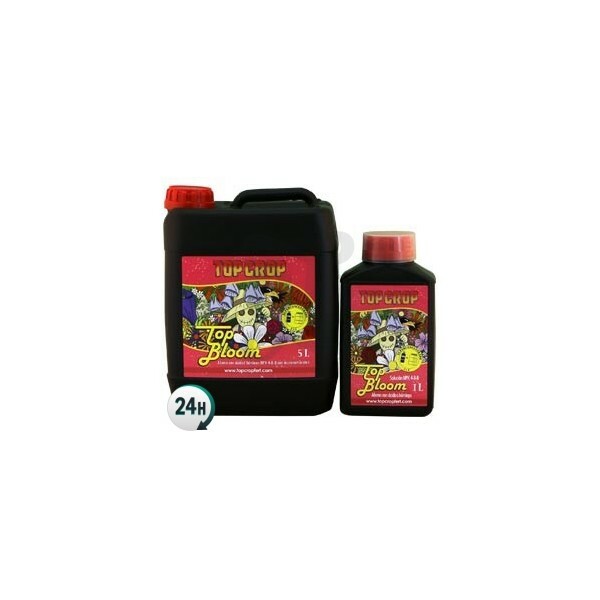 Top Bloom is 100% organic and is used to give your plants a successful flowering period. They need plenty of phosphorus and potassium during this period, and with Top Bloom you’ll be giving them all of these nutrients in the best natural format. Simply add it to your water and watch it take effect. Add 2-4ml per liter of water. Start with 2ml and increase progressively until your plants reach the maximum dosage, which should be around a month into the flowering period. Use every second time you water.